Hello, my peeps! I am back with another of our monthly giveaways and income reports. Can you believe it? I’ve been doing these monthly giveaways since July 2013 and the income reports since October 2015! Time sure flies when we’re having fun. What’s new at Kawaling Pinoy? Well, for one thing, these monthly reports are getting a makeover with the coolest graphs ever! The winner of our giveaway two months ago was Mahru, a long time reader of KP and a financial analyst from the Philippines. We exchanged a few emails regarding the delivery of her giveaway prize and in one of those exchanges, she graciously offered to make graphs for my monthly income reports. She said, as a reader, it’s kind of difficult to understand the reports unless there’s a point of comparison. To which I totally agree! So, starting with the May reports, she will be preparing the graphs for me every month. How cool is that? As you can see from the six-month look back above, there has been a downward trend in traffic/pageviews. But like Mahru said, historical data is an important tool when conducting predictive analyses and in forecasting future performance of a company or business. I would have been in a tizzy fit if not for Kawaling Pinoy’s historical data showing that April, May, and June are, historically, poor traffic months due to the summer season. As you can see from the graph below, traffic dips during these warmer months and begins to pick up around the third quarter of the year. And as the graph also shows, I have so much to be thankful for! Kawaling Pinoy saw a 54% increase in pageviews compared to May last year and that, my friends, I owe to you. Thank you for your likes, comments, feedback and support of Kawaling Pinoy. I am grateful beyond words. Historical data is not only useful in calming my nerves down. Armed with past trends, I can tailor my editorial calendar and growth plans more effectively. December the busiest? Then post more recipes! If you noticed, income for May was higher than the previous month despite the lower traffic. The main reason for the boost is a sponsored post I did , which accounted for about 10% of my total May income. As you all know, the bulk of Kawaling Pinoy’s earnings is from banner ads. I like the set-and-forget convenience of this type of monetization but I have to admit, ads can negatively impact reader experience. I received a quite a few emails from readers on how the number of ads on Kawaling Pinoy disrupts the use of the site. Of course, the more ads I have, the more money I make. But when I start to hear concerns from you, I need to take heed. 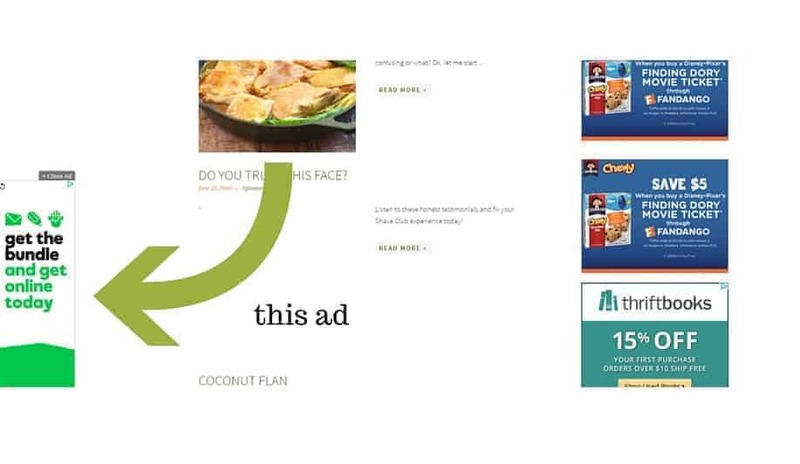 While banner ads are basically hands-off, sponsored posts require a bit more work. I need to apply for the campaign, get approved, and develop content in line with the brand’s mission and my readers. I have to admit, it’s tempting to grab as many of these opportunities as possible but, once again, I want to make sure I work only with products I can recommend in good conscience. If you’re a blogger and want to pursue this income stream, here’s a comprehensive guide from Food Bloggers Central. Discipline and organization have never been strong suits of mine. I am hoping my posting these reports monthly will give me some sort of accountability and a concrete picture of what I want to accomplish. I am also hoping the little things I am learning will be of good use to my fellow bloggers and serve as inspiration to our kababayans who are thinking of starting their own blogs but are hesitant about making the jump. It’s time to live your passion, to do something you’re pumped up about and enjoy. Instead of just earning a living doing something you tolerate, harness your passion and do something great. 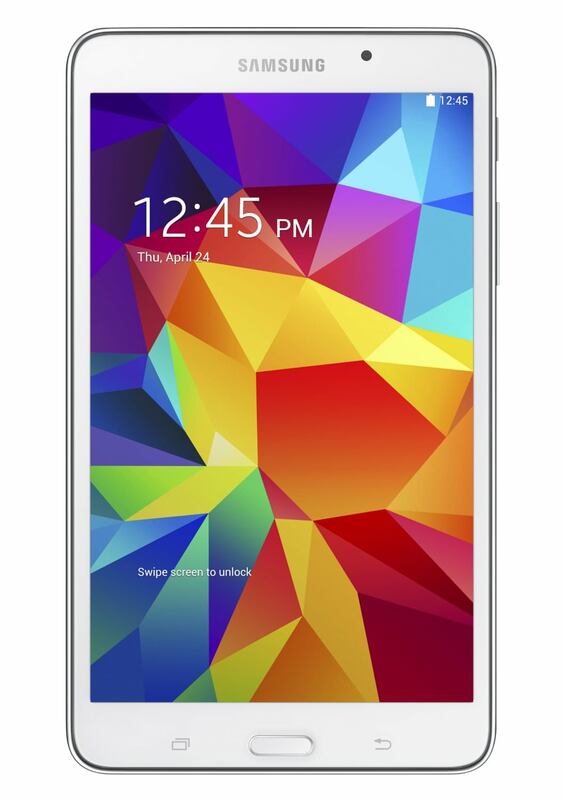 We are drawing one (1) winner and for the giveaway prize, the winner will receive a Samsung Galaxy Tab 4 7-Inch 8GB. If the winner is outside of the U.S., the cash value of the prize ($140) will be sent via Paypal. Please note that Kawaling Pinoy giveaways are wholly supported by me and I do not receive any compensation for the products I present as prizes. Giveaway ends 11 PM Pacific Time on Wednesday, July 27, 2016. The winner will be selected via Random.org. The winner will be notified via email and will be announced here on or after Friday, July 29, 2016. The winner must respond within 48 hours or an alternate winner will be selected. No purchase necessary to enter or win. A tasty lechon (suckling pig) done in an oven would be great this coming holiday season. I would like to see several recipes for a main dish and dessert that doesn’t involve too many ingredients. A simple but savoury dish that can be prepared within a few hours. A pie recipe for dessert and a pork recipe for the main dish. Hi! Thanks for all the recipes. I would like to see papaitan and hardenera. I’d love to learn how to make a platter of ribs from scratch. Then potato gratin. But have a pinoy twist to it. Yum. I’m so happy to discover your website, it helps me a lot in my cooking adventure. Hamonado (with Pineapple and Cheese). It’s one of the main dish that we must have in our home! Maja Blanca for Christmas! Another thing is maybe a new touch of the classic Pinoy Spaghetti that you can teach us or Carbonara with Bacon Bits! It’ll be better to show some new ideas to classic pinoy dishes for Xmas Season and New Year! Thanks and more power to Kawaling Pinoy! 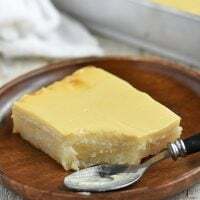 Bet recipe for cassava cake. I bet you know an awesome one. How cool that the contest ends July 27th! That is our wedding anniversary! I would love to see loads of Filipino style cake recipes. Along with these sweets, spaghetti recipes would make our day too 🙂 thank u! I want to see easy to make meals can be filipino or international cuisine that will be like by our guests. Hi I hope that you could post more cantonese/Chinese recipe, though I am a full blooded Filipino, however I am really into Chinese cuisine, some of my all time favorites are salt and pepper spareribs, sizzling tofu and fish fillet and sweet and chilly chicken fillet. Thank you for your site because I am able to learn and cook simple and sumptuous recipe. I would like to see recipes that use salmon for Christmas and New Year’s. a very easy lechon ..
A different recipes of a whole kambing for christmas and new year. Miss Lalaine, I’d like to learn some easy-bake or no-bake cake for Christmas season and how you’ll do a seafood paella, filipino style! 😀 Thank you! Also, maybe a boodle-fight platter for Christmas since we’re only four in the family!I’m planning to do that for Christmas, as we have to go home to province for New Year! thank you! God bless you! i look forward to building my own blog site in the future! you’re an inspiration! Hello! I would love to see Christmas Eve left-over food make-over “left-over make-over”. 😀 I think that would be interesting and helpful as well. Appreciate much if you could pls post my fave FISH-Shaped Halayang Ube. 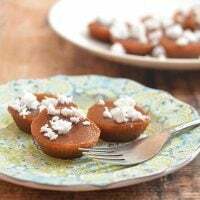 Simbang gabi is coming we pinoys loves to eat puto bumbong after the mass so please post some puto bumbong and bibingka recipe with a twist thanks in advance kawaling pinoy more power! 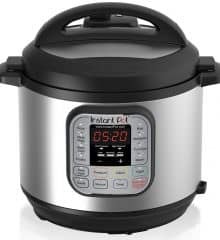 Christmas Day is my son’s birthday as well, and I want to personally cook for him. Would love to prepare all pinoy dish like crispy pata, paksiw letchon, also humba dish. Appreciate if you can share your recipes for these. Hi Lalaine! I would love to see recipes for different pasta sauces and for cookies. Thanks for all the recipes you have shared with us! I would love to see a recipe for a spicy seafood/noodle soup. 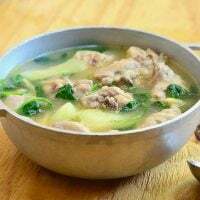 I would like to see the traditional Pinoy dishes for the Holiday. Seafood recipes worth serving during holidays please! Hi, Lalaine! I hope to see potluck recipes that we can bring to family gatherings during the holidays. Thank you for this giveaway! I am getting ready for the holiday season as early as now. 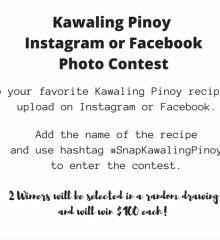 “What recipes do you want to see on Kawaling Pinoy for your Christmas and New Year celebrations?i I want different dishes with Pork Lechon, like in sauce, soup, or even fried. I ‘m really excited for the best days of the year! I agree with all the other readers. I’d like to see your take on a holiday baked ham! I have my own recipe that I do every year, but I’m curious how you would do it. Maybe I can learn a few tips and tricks that will up my ham game 🙂 I can’t wait for the holidays!!! I am getting ready for the holiday season as early as now. I want to see seafood paella and fruit cake recipes on Kawaling Pinoy. I’d like to see a recipe for Puto bumbong, please. Usual pinoy food with a twist 🙂 can you add twist to traditional food like bibingka, salad, puto, fruit cake, or maybe leche flan my fave 🙂 I’m looking forward seeing your recipes! can’t wait! Any traditional, holiday food from other countries. I would love to see some recipes for cookies and cakes. I’d also love to see recipes to use leftover ham or turkey. hi, i always check your website whenever i want to cook food or bake some sweets. we really love sweets, so for this coming holiday seasons. i’ll be spending it in the Philippines, and I love leche flan and ube, if its possible if you can create a recipe out of these. A newer version on how to cook ham, or any recipe out of ham ingredient to make holiday season more special. Since Christmas is my birthday, I would love to see recipes of pasta, chicken, and no bAke cheesecakes since these are also may daughter’s favorite. I would rather have easy recipes since I will give birth this September and cooking for holidays must be less strenous for me 🙂 Thanks! it would be nice to have a Filipino Style Fruit Cake for Christmas. Fruit Cake with a Twist would be awesome. Ensaymada please. I miss this treat and would like to be able to make it. I would love to see a whole roasted chicken or ham recipe along with a dessert that is on the healthy-ish side. However, I am always interested to learn new and interesting recipes from different parts of the world, so traditional Filipino holiday recipes would be great too! Any smoked meat (ham, pastrami etc) will surely spice up the Christmas season! I would like to see recipe on how to make homemade ham as this is a staple on everyone’s christmas table. Making ham by myself would be a challenge to take on this Christmas. Hope you could make this available to us. Thanks and God Bless! 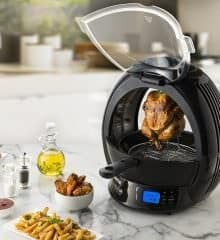 I want to learn how to cook crispy pata on my convection oven. Hahaha, takot ako sa mantika! Something sugar-free would be nice, and something healthy as well. As much as we would like to indulge ourselves with savory dishes, there are some people who can’t enjoy those dishes because of its sugar content or because they can’t really eat certain types of food. It would also be a new and unique addition to your blog which, I strongly believe, would be really popular. I am getting ready for the holiday season as early as now. I would love to see any pasta pesto dishes for my Christmas and New Year celebrations. I do not know how to cook and have never tried to. But, I would like to try it this time around. New beef recipes because I love beef and also creamy dishes, whether viand or dessert. Who doesn’t love creamy foods especially when it’s that time of the year, di ba? Thanks. Hi Ms. Lalaine! two recipes I would appreciate you having this Christmas and New Year 2016. These are – a Home-made leg of pork Ham and a Macaroni Pasta. Why? I consider these dishes to be the star in the table during the holidays at the same time my favorites, too. I would look forward what twist you would come up with as well as the stories alongside it. Healthy and yummy yet not expensive recipes. Hi, I like ham and cheesecake every Charistmas Time. Ham recipe and cheesecake (no bake please) please. hi ate lalaine! how about some no bake cakes and other deserts? wherein the ingredients can be bought in the market/supermarket. Homemade Christmas Ham! It’s so difficult to find a good recipe for this. Also I’d like to see some festive recipes for crab, prawns and squid. Our family just love them but I’m running out of recipe ideas. I would like to see some unique stuffing. My gram made oyster stuffing and I never got the directions. Please make homemade ham sauce. Puto bumbong and traditional beef morcon asado.. I would love a leche flan recipe. I would like to learn the recipe for ube. Thank you Ms. Lalaine! I really enjoy this site. My skills cooking Filipino food has gotten better. I don’t I have to worry about my wife leaving because of my cooking. I look forward to trying new recipes. If you could post an easy puto bumbong recipe, that would be amazing!!! I want to let my daughter, who grew up here in the US, a taste of one of our popular dish signaling the holiday season. Thank you so much! While growing up, my mom would make chicken relleno. She would debone the chicken and stuff with a meat filling and a hard boiled egg. 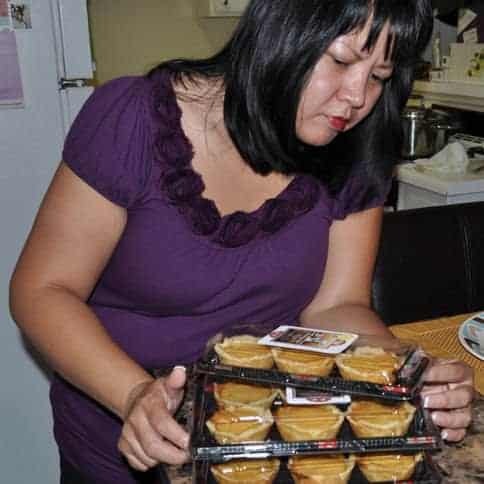 As we got older she experimented with putting a pastry over it, I think sje used a pie crust. It would be great if I can get a good instructional recipe for chicken relleno! Hi! Beef morcon brings back memories of Christmas season menu. Pls try to include it on your list! Thanks! I am getting ready for the holiday season as early as now. I would love to see a fiesta ham and barbeque recipes and other kakaning pinoy. Thanks and more power! My recipe request is Lengua in white sauce. This is my mama’s specialty which unfortunately I have not learned how to cook.She always cooked this for Christmas. Would love to cook this for the holidays and am sure she would be please. I love all of your recipes. I am hoping you will put your talent and experience to bear on sharing with us some finger food sized things for the holiday season. Particularly appetizer stuff. So many people drop by to socialize and they usually say that they are trying to watch their sweets and alcohol is not a great choice, particularly if they are going to drive. So, I want to offer a plate or tray of appetizers. Particularly if the appetizers are attractive or otherwise conversation worthy…in other words – .not just cheese and crackers. Something that looks so good that people have to try it. You have great flavor profiles and I know you will come up with some really great ideas. I would like something most importantly TASTY (and I know you have that covered) but also visually appealing. I have been looking for recipes for Filipino ham, morcon and lechon (baked if possible for lechon). Would love to see a putong ube recipe for Christmas! I would like to see a recipe for this chocolate cake that I used to get at the old.Campos rueda bldg in Makati. The name of the bake shop then was kookie monster. Have gone back hone and it’s no longer there. It is the best chocolate cake I have ever had. Thank you!! I would like to see the best Oreo Cheese cake. I would like to see finger foods and some dips. I want recipes of Fruit Cake and Mint Chocolate Cookies! Traditional filipino christmas food… Like morcon, lengua, kare kare and all the desserts for new years (kakanin). Since i moved to hawaii i miss eating putobombong and bibingka in the morning!!! How about some juicy and ginormous steak recipes?? Yumm!! I really don’t know how to cook before but since i started reading KP..and following ur recipes..my children especially my apos love my cooking..that’s why i don’t know what recipe i need haha..i just choose from ur menus and try what i think my apos will like ..and am really happy they always love it..thank you..
Share some of your family recipes that you enjoyed when you were growing up as well as some memorable Christmas traditions you still follow with your family. The traditional food during Christmas season are always lechon, ham, spaghetti and for dessert, puto bimbong. They are either too oily or high in carbs which are not very healthy. But in the spirit of the season, we of course do not want to let go of these from our tables. I suggest that it might be good for you to feature healthier ways of cooking (I’m not sure if there’s any) or preparing these dishes with less oil, sugar or carbs without compromising the taste (and the Christmas spirit). An example may be thru baking, like baked spaghetti or baked lechon. I would like to have your recipe the maja blanca..thank you and God bless.. I would like to see your version of Fruit Cake. 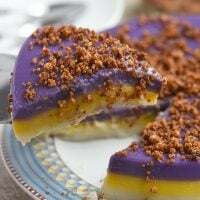 How about a healthy version of some filipino dessert like Halayang Ube. I’d enjoy a post on traditional Filipino holiday food divided into regions or provinces. I know what food is traditionally served in Manila but I have no idea how people in provinces from Visayas or Mindanao celebrate the holidays. I would like a traditional pinoy holiday foods that the ingredients are available at the local store here in USA. I would like to see any festive non-alcoholic drinks for the holidays and easy mini desserts for the holiday season.